Intense Polish Therapy: Be A New York Knockout & Jet Set into Fall with Revlon ! & Instagram Giveaway! Be A New York Knockout & Jet Set into Fall with Revlon ! & Instagram Giveaway! Hey beauties! 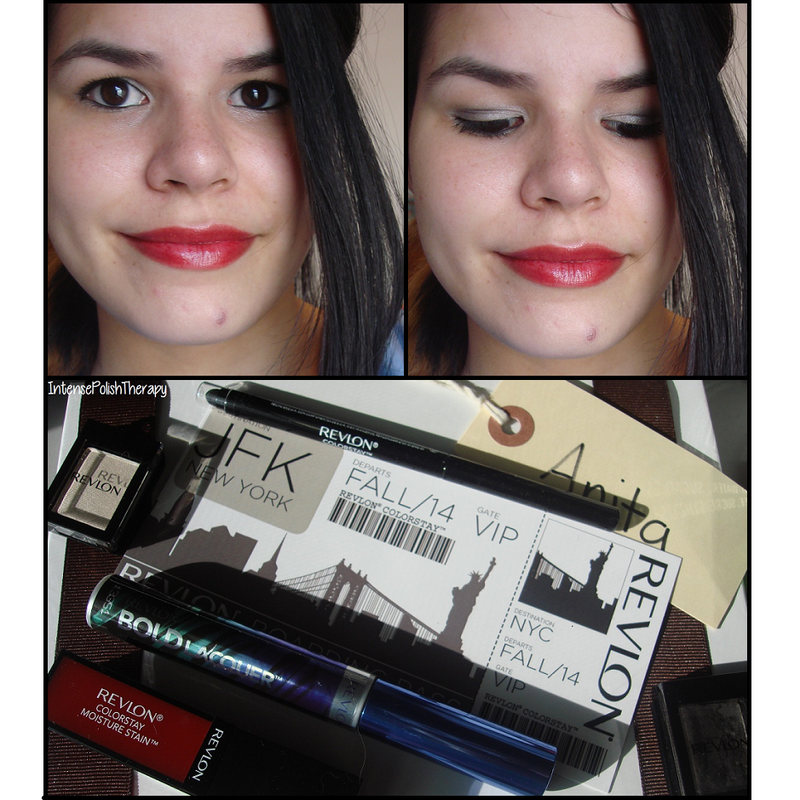 Today I will be sharing a look created with Revlon products! I dusted Oyster all over my lids & packed it on into the inner corner. Using Charcoal I applied that to the outer corner & blended into the slightly center of the lid & with a little bit more of the Charcoal I blended that into my outer crease blending into the center. Then I lined my waterline with the ColorStay Eyeliner. Did one coat of the Bold Lacquer Mascara. Finished the look by applying ColorStay Moisture Stain to my lips. For my nails I applied two coats of Checkmate & Allowed it to full dry. Then I free handed the tips... which is totally noticeable. The giveaway is on Instagram so all you need to do is go to my Instagram @IntensePolishTherapy - Follow & Like ^this^ picture!